It may seem harsh in the extreme to be critical of Fonterra at a time when it's just ramped up the forecast milk price for the end of the current season and for the coming season as well. 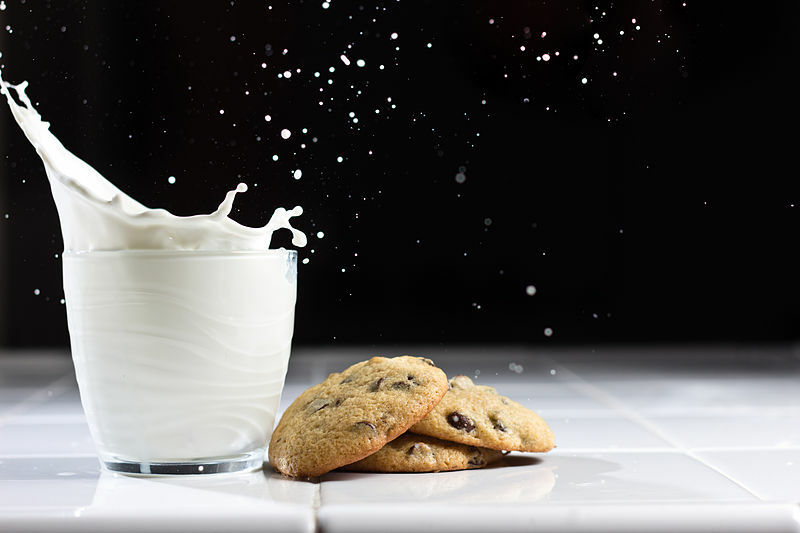 For me though, the announcement squeezed in between those two bits of good news that the dividend might be more than halved this year means they've given us the milk, but taken away the cookies. There's no 'sweetener'. Yes, the Fonterra directors can say (and already have) that the overall return to farmers this year is going to be better than last year. And look, that's absolutely fantastic. But with Fonterra having paid a much higher milk price last year than the year before - and having maintained the dividend at 40c last year - I guess I had hoped it was at last getting a better handle on the juggling act between paying the market price for milk and being able to make good profits through adding value to milk products. Does it matter? Aren't things fine and dandy as long as the milk prices stay up? Yes, well, that's the exact point. Find and dandy as long as the milk prices stay up. Not so if they don't. Look, Fonterra is a curious business. It takes the milk from the farmers and then pays them the highest price it can based on what it believes it can fetch on the open markets for commodity products such as milk powder that are made from the milk. So, in attempting to reward the farmers it's actually facing the possibility that in times of rising milk prices, well, it's input costs go up considerably. That's where the value-added products, which are not included in the milk price calculation, become so important. What the country needs is for Fonterra to be able to make good profits on value added products when the milk price is up. Otherwise we are just completely hooked into the commodity cycle. We are hostage to the good or bad fortunes of the global milk markets. As I've said probably plenty of times before, I was opposed to the creation of Fonterra, effectively a single mega dairy company that was entrusted with the wellbeing of the country's dairy industry - and therefore a very big part of our economy. And the simple reason for that opposition was the sense that if the people running the mega dairy company don't get the strategy right they put the whole dairy industry - and therefore a very big part of our economy - at risk. We've got to attempt to break out of the boom and bust commodity cycles as much as we possibly can. Now yes, commodity prices will always go up and down - but that's the trick really, isn't it. It's being able to balance things. The only true way to balance out the ups and downs is by adding value. That's what the global economy is all about now. I'll be very interested to see if the upcoming review of the Dairy Industry Restructuring Act 2001 comes up with anything substantive. Where/by whom are the benefits of the sector’s performance being captured and the costs/risks incurred? What is the extent and distribution of the benefits and costs/risks across the dairy industry supply chain and the wider economy? What, and how strong, are the existing incentives and disincentives for the dairy industry to transition to higher value New Zealand based dairy production and processing that global consumers seek out for a premium? What, and how strong, are the incentives and disincentives for organics and alternative dairy production methods and product manufacturing? What is the role of government in strengthening these incentives and/or reducing/removing the disincentives? I think the second question is particularly pertinent and the fact is I reckon we are still a long way off having the right incentives. I don't pretend I've got a whole bunch of answers, but I do know that the latest announcements from Fonterra suggest it's no closer to finding it's own answers. If Fonterra for all its talk, and unnecessarily flashy head office buildings, and ridiculous wages paid, can't genuinely move beyond being a straight commodity dealer then we are always going to be fully exposed to the commodity cycles. And worse - other countries will work on that value added thing and they will do it better and we will get left behind. Is it time to consider a whole new approach to the industry? And should that include Fonterra as a single dairy industry flagship? It's like the Awkland house price issue, DH. In each case we can don our 20/20 HindSight Spectacles ($USD5.60 on AliExpress), look back and say - oh, shouldn't'a'done'That. as yet undefined Sunlit Upland) from Here, without completely foobarring the lives of many tens of thousands of innocents? I completely agree - it’s a very odd business, and shouldn’t be protected to remain odd. Directors act primarily for suppliers and not in the interests of the company and that means short over long term thinking, and a scarcity of capital and skills for growth. The pronounced commodity cycles and low value add will continue. Not sure it's completey decided yet.. It seems unlikely New Zealand will produce significantly more volumes, but worldwide demand will grow significantly. See this. In that case demand will bid up prices no matter what we produce. This is likely to be a sellers market for years to come. Also see the trade flow map here (bottom of that page). NZ dairy may be in the box seat for some time yet. Sure, challenges may come from the Russian Steppes, the US, and others. But in the end their own home markets will grow as well soaking up much of their output for export. Local Chinese production will grow (and based on the US dairy model), but in the end feed and water limitations will cap what is capable there. Of couse, in the meantime, there will be many bumps along the way. But I see the cards lined up to our advantage. Especially if the 14 litres/per person Chinese consumption now, exceeds the expected 19 litres by 2022. Heck, it could go to the Japanese and Korean level of 37L/person. Then all bets are off. So agree with you David, Not just dairy but all the resources we export in bulk... we should be value adding as much as possible. Quality product and design, innovating... we are actually quite good at it as a nation, it should be encouraged. ... and then synthetic milk obliterates the market. Fonterra makes in excess of 1000 different products. Who are the companies (of scale) we need to emulate that are making significant profit from value add, while at the same time paying their farmer suppliers payouts in significant excess of Fonterra -either as a co-op or corporate? As a Fonterra supplier, at a $6.75kgms payout on our farm, that will equate to approx 68c/l. This figure will vary from farm to farm. The Irish Farming Independent dated 22 may 2018 states that Irish dairy farmers receive between 29cl (€) & 33.9cpl as a base milk price. In an article titled 'Less stainless steel and more added value is the way forward for our dairy industry', Tom Phelan IFA National Dairy Chair states 'Farmers will continue to need EU support through the new CAP to cope with the income consequences of volatile markets'. For those who say the directors need to look after the company, yes they do, but within the terms of the co-ops constitution.